Last year I wrote this on my private Facebook page, and since I made a broomstick last summer I’ve been planning to take pictures to match the text. Last Saturday I did. Easter weekend, a tradition going back to the late 1700’s. The post led to discussions on how it began as a national game (Finland had long been a part of Sweden by the late 18th century), and when Finland became Russian, the match was kept as a way to preserve friendliness despite the Muggle wars and politics. By now it’s been going on for so long it’s unthinkable to stop. Whether or not a certain 18th century Muggle war was the horrid result of arguments over World Cup tickets, or are nothing but slander, also came up. My outfit was inspired by the way in which Swedish Easter withes (påskärringar) are often depicted, like lower class women from about the turn of the last century. Of course witches don’t wear such styles today, but you know I like to dress up historically. 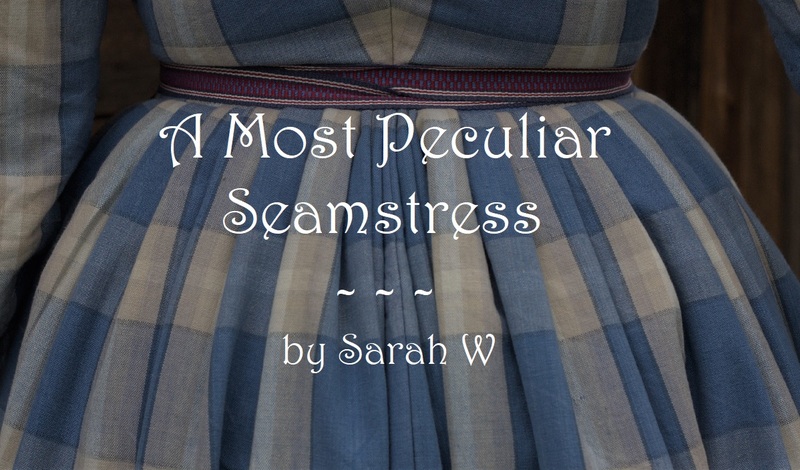 I wore my insanely pieced dress, a quilted petticoat, knitted mitts and stockings, a headkerchief, an apron from my kitchen, and a piece of fabric for a small shawl. Besides the broom I also carried a copper coffee pot, often seen in images of Easter witches. One needs a refresher if the Quidditch game gets long, and April in the North is often cold.